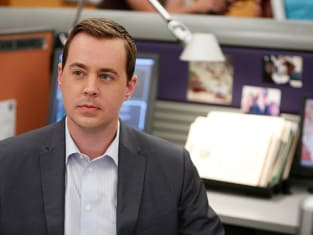 NCIS: Watch Season 11 Episode 6 Online! NCIS aired a Halloween adventure this week, with a mysterious prankster in the office and a mysterious explosion on an oil rig endangering those at sea. The case's twists diverted the team from the real culprit throughout, in large part due to the fact that the first instinct is to wonder if terrorism is involved. The always-enjoyable Diane Neal returned as Abby Borin, who was sort of offered Ziva's old spot on the roster, but will not be sticking around full time. The prankster, meanwhile, remains at large. Borin: I didn't just lose three fellow Marines in that blast. Gibbs I lost my Marine. Liam. He always had to be the one leading the charge. That was his style. He was strong, stubborn. God. Cocky as all hell. Borin: We have a problem. Gibbs: Worse than DiNozzo's crabs? Permalink: Worse than DiNozzo's crabs? NCIS Round Table: "Oil and Water"